Monday, January 16 this year, commemorates the life of Rev. Martin Luther King, Jr., who worked tirelessly for racial justice and fell victim himself in 1968 to racial hatred. He was a man of principle and courage, but also of non-violence and genuine civility; a person who fought hard for his beliefs but never lost a fundamental respect for his opponents. 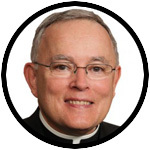 At a moment in American life when vindictiveness seems to mark both sides of the political spectrum, Archbishop Chaput offers as his column this week some words he first penned in 2008. Catholics can take a lesson in the courage to follow a well-formed Christian conscience from Dr. Martin Luther King, Jr. King was first and above all a Christian minister, guided by his faith in Jesus Christ. His Letter from Birmingham Jail is an actual letter; a response to Alabama clergymen who publicly criticized King for interfering in local affairs, pushing for human rights, and breaking the law while arguing other laws were unjust. The clergymen wanted to know why King, an outsider, had come to Birmingham in the first place. King answered that he came because injustice was there. He argued that he could not sit idly by in Atlanta and ignore evil events in Birmingham. Injustice anywhere, felt King, is a threat to justice everywhere. People are linked in an inescapable network of mutuality, a single garment of destiny: “Whatever affects one directly, affects all indirectly.” King felt compelled to be in Birmingham. To stay in Atlanta would have violated his sense of what was just and morally necessary. King then addressed the “troublemaker” charges leveled against him: “I must confess that I am not afraid of the word ‘tension.’ I have earnestly opposed violent tension, but there is a type of constructive, nonviolent tension which is necessary for growth.” He was not naïve. He did not assume that progress would happen without human choice, action and sacrifice. Human history was not set on an automatic pilot to expand justice, freedom and equality under the law to all peoples. Certain people would need to create tension to push progress forward. King’s “weapon of non-violence” required him and his followers to willfully disobey unjust laws and accept the legal consequences. He knew that when a critical mass of his followers accepted the cost of changing bad laws, a tipping point would be reached, and events would turn in his favor. King wrote at length in his Letter about the kind of citizen he considered almost worse than the “rabid segregationist”– the “white moderate.” White moderates were citizens who agreed with his goals personally, but refused to support his public actions. He wrote that he had hoped that the “white moderate would understand that law and order exist for the purpose of establishing justice, and that when they fail in this purpose they become the dangerously structured dams that block the flow of social progress.” His hope had often been disappointed. King had little use for lax Christians. And neither should we — especially if the lax Christians are us. We have no excuses. We have too many models of courage to guide us. IMPORTANT NOTE: Archbishop Chaput will preside on January 16 at the 34th annual archdiocesan gathering to honor the life and work of Dr. King at St. Philip Neri Catholic Church, 437 Ridge Pike, Lafayette Hill, PA 19444. Choir Prelude: 6:30 p.m.; Prayer Service: 7 p.m . Light refreshments will follow. All are welcome. Bishops should heed MLK’s willingness to be jailed for his beliefs. Our US bishops should have been willing to go to jail to oppose the Obamamcare mandate of contraceptives which included abortifacients. Hobby Lobby and the little Sisters were the only ones to risk their reputations for life. This was noticed by Catholics and the general public, but no Bishops went to jail to stand up for life. Thank you for your good article on MLK!